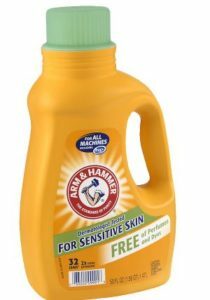 Arm & Hammer Laundry Detergent 2x Concentrate, Free of Perfumes & Dye, 32 Loads Unscented is now available at Walgreens.com for just $1.99 (REG $6.29) (As of 09 February 2019, 14:24 PST – Details) with $4.30 (68%) Savings. Dermatologist tested for sensitive skin. Free of perfumes and dyes.